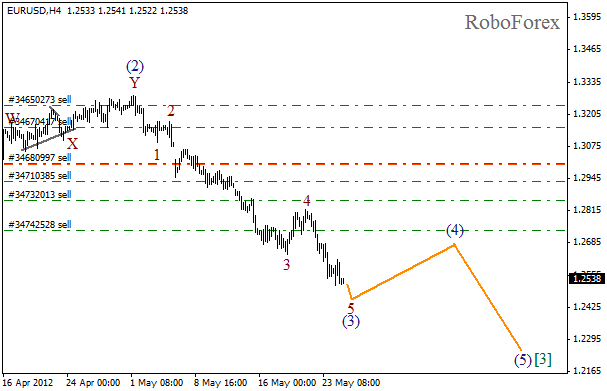 It looks like the market is being corrected after finishing a descending impulse in wave (3). Most likely, the formation of the fourth wave won’t take much time. 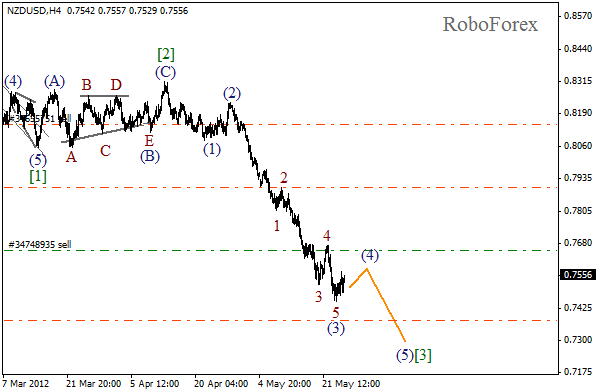 The price may start moving downwards again in wave (5) of  during the next several days. 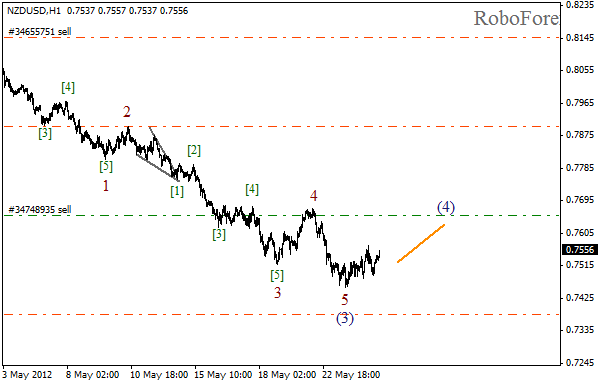 As we can see at the H1 chart, yesterday the price completed wave 5 of (3). Right now the market is being corrected, and this movement may continue during Friday. The correction, which is taking place right now, is an excellent opportunity to enter the market for those traders, who haven’t done it yet. Despite the correction, Euro continues moving near the minimums. 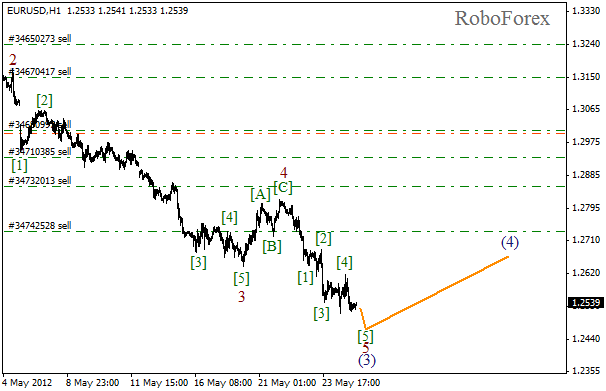 It looks like the price is finishing wave (3). The correction may take place for several days, but after that the current descending trend may continue. If we take a look at more detailed structure of wave 5, which is shown on the H1 chart, we can see that the price may complete the wave within the next several hours. The formation of wave (4) may take several days, however, after that we can expect the price to try to reach a new local minimum.